A theatre manager has criticised audience members in the front row who were following the England penalty shootout on their phones. 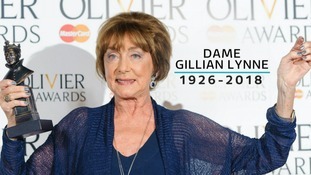 Still redoing steps when she was 90, the fact that Dame Gillian Lynne had been in dance for so long made her a force in British theatre. Harry Potter And The Cursed Child triumphed at the Olivier Awards with a record nine awards including best actor and supporting cast. 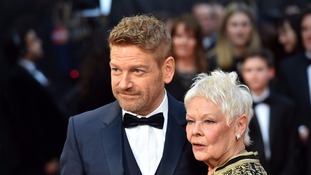 Dame Judi Dench made history by winning her eighth Olivier on theatre's biggest night. Oscar winner Mark Rylance and Sherlock star Benedict Cumberbatch lost out as Kenneth Cranham took home the Oliver Award for best actor. The 71-year-old Scottish actor was tearful as he thanked fellow cast members of The Father, as well as the play's director James Macdonald. "He's a wonderful director, very kind, he's very perceptive and he let's you find your performance and he directs further on down the line", Cranham said. Meanwhile Denise Gough scooped the best actress award for her win in People, Places and Things. The Irish actress said: "Okay I've got 40 seconds so I've got to be quick. This is for my people, you all know who you are". She then said she she was "just a bit disappointed" that, in a year marked by widespread uproar about the lack of diversity at awards shows, she was "sad" about the lack of diversity among the nominees in her own category. 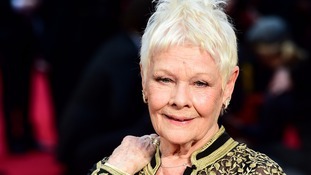 Dame Judi Dench has made history at the Olivier Awards for winning more Oliviers than any other performer. The veteran actress won best actress in a supporting role for The Winter's Tale. Her win for her portrayal of Paulina in the Kenneth Branagh Theatre Company's production takes her total win of Olivier Awards to eight. As she collected her award, she joked she was "livid" as her win meant she had lost a bet with her grandson. The former James Bond actress said: "Ladies and gentlemen, I'm absolutely livid as I had a bet with my grandson ... and I'm never going to be able to forget it". She also praised "a really fantastic company and crew and stage management", saying of the award: "It's lovely to have, but in actual fact it belongs to all those people just as much as it belongs to me." Oscar winner Mark Rylance kicked off the Olivier Awards red carpet in style wearing one of his trademark trilbies. The actor goes head-to-head with Sherlock star Benedict Cumberbatch at tonight's awards, which is considered the most prestigious event in the UK's theatrical calendar. Both actors are nominated in the best actor category alongside Sir Kenneth Branagh for The Winter's Tale, Adrian Lester for Red Velvet and Kenneth Cranham for The Father. Other stars attending the event, held at London's Royal Opera House, include Hollywood star Nicole Kidman, Gemma Arterton and Denise Gough. 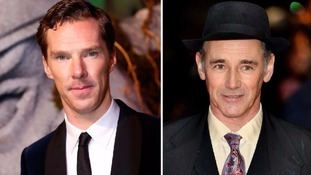 Stars of the stage Benedict Cumberbatch and Mark Rylance will go head to head at the Olivier Awards for best actor. Benedict Cumberbatch stepped onto the stage tonight as Hamlet with fans pushing up the price for some tickets to an outrageous £1,500.